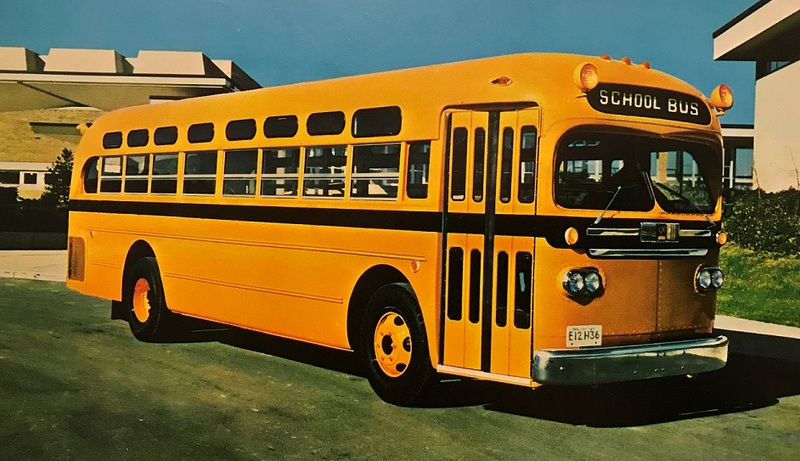 This is a GM TDH-3501 or 3502 built as a school bus. The sales brochure states that it could carry 61 seated passengers. I wonder how many were actually built as school buses? The Lower Merion Township School District in Ardmore, PA liked them. They nought 5 TGH-3501's and a single TGH-3502 according to the Ohio Museum of Transportation website. A school district in Missouri received a TDH-3501. However, I think there may have been a bus line or two that bought the school bus version as well.